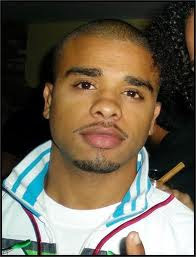 Remember former B2K member Raz-B? Back in December 2007 a youtube video surfaced alleging that he was molested by his manager Chris Stokes and Marques Houston as a pre-teen. This video surfaced shortly after, quelling the media frenzy that 1st video had unleashed. My thoughts? Its clear that something went down, because as a man, you wouldn't put yourself out there like that because its the ultimate shame.When the 1st video was released he had the support of the public, as him putting himself out there could have potentially given hope to others, but when his words were retracted, a lot of folk suspected a payoff and were disappointed that his silence could be bought. Now these new videos have come out, they will be less impactful because the credibility issue will come into play. Will he change his mind again? It'll be interesting to see how it all plays out though. Maybe Wendy will give him a whole show?